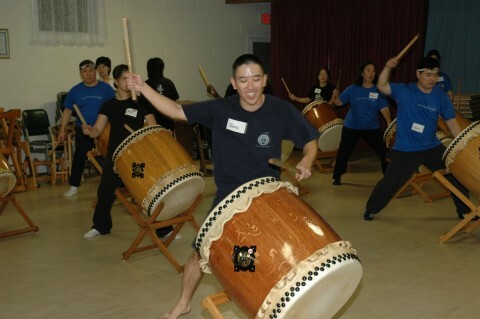 The song Shiawase Ondo was written by Nen Daiko member Greg Nakamura in summer-fall 2003. The word "shiawase" means happiness in Japanese. This piece was written to celebrate the wedding of Tracy Kondo and Terrence Higuchi on October 18th, 2003, where it received its debut performance. 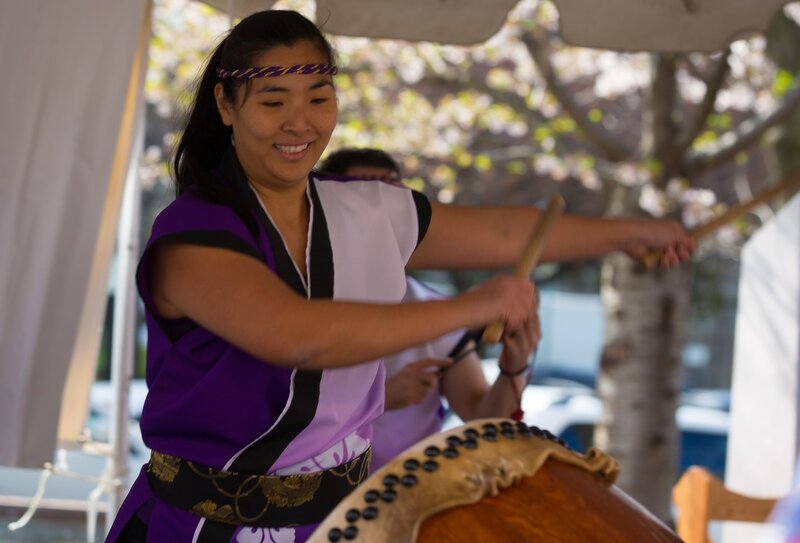 It explores the idea of taiko as an accompaniment to a melody played on fue (flute), strongly inspired by conversations with taiko artist, Kenny Endo. 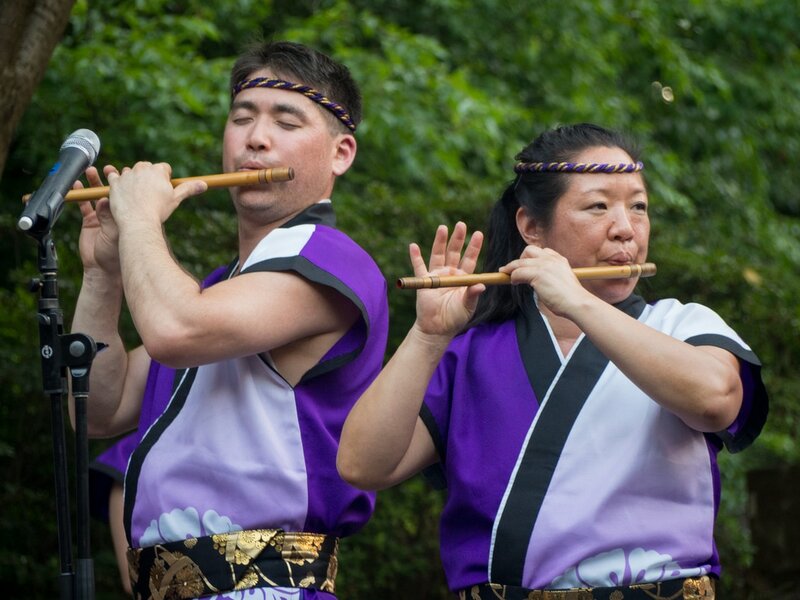 Based primarily on a festive pentatonic melody played by dual fues, this up-tempo work features lively chu-daiko choreography as well as other improvisational elements. 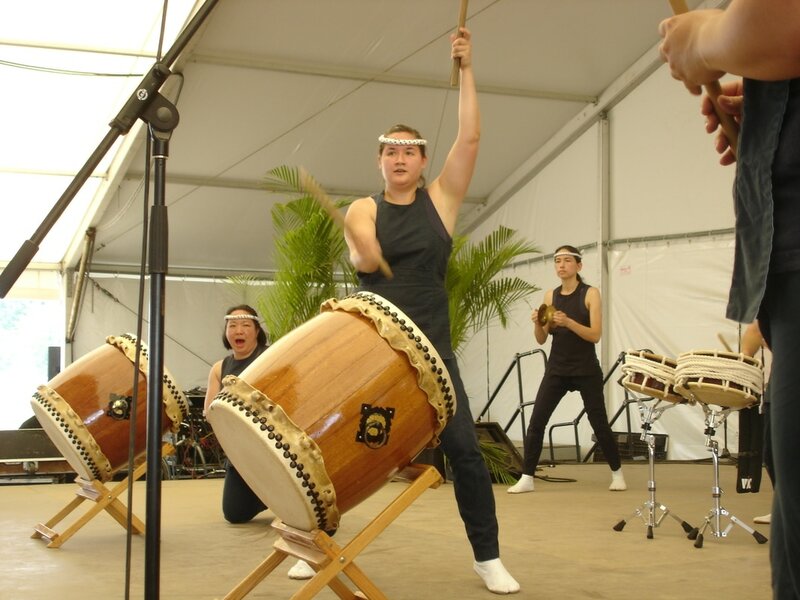 The base beat or "ji" of the song is the same as Matsuri, a festival song familiar to taiko players worldwide. 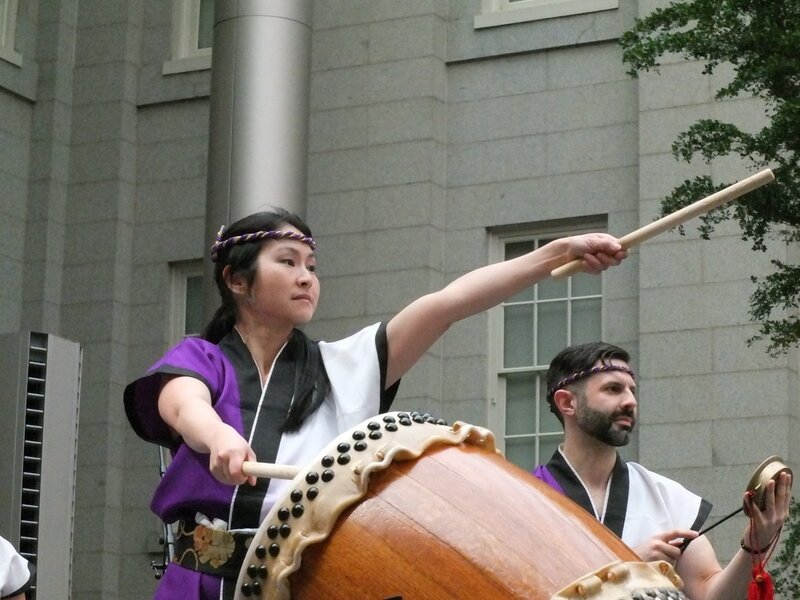 Greg was motivated to compose Shiawase as a way to get Nen Daiko players to experiment more with their Matsuri solos, to try bigger and more flowing movements. 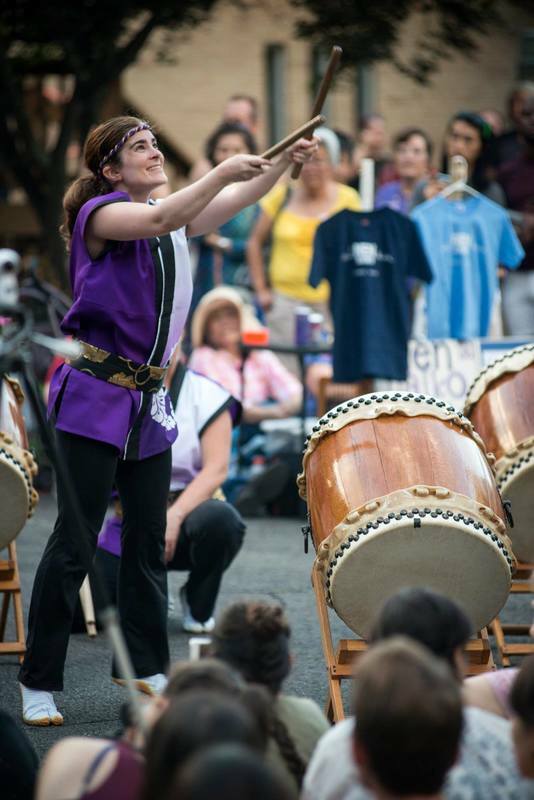 The key to playing Shiawase Ondo is -- smile! 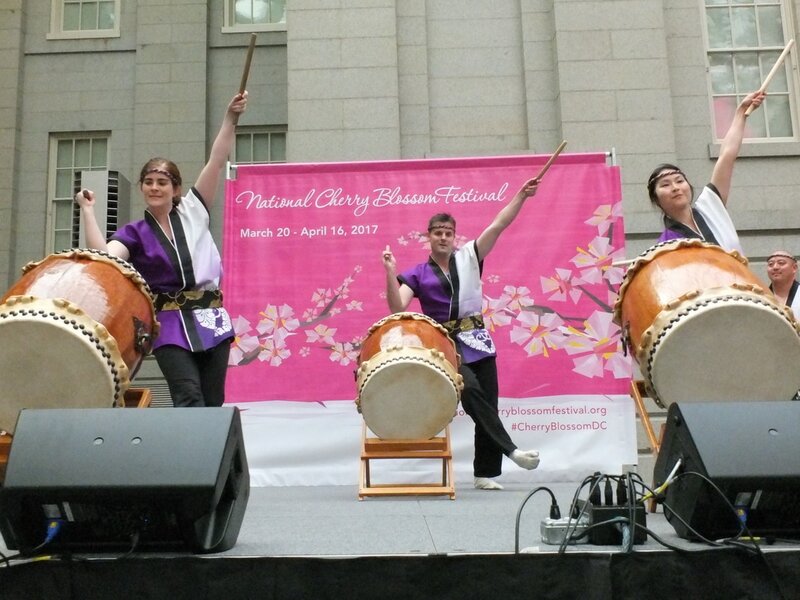 Also, the choreography benefits from a "lighter touch," a more sprightly movement than some other songs in Nen Daiko's repertoire. 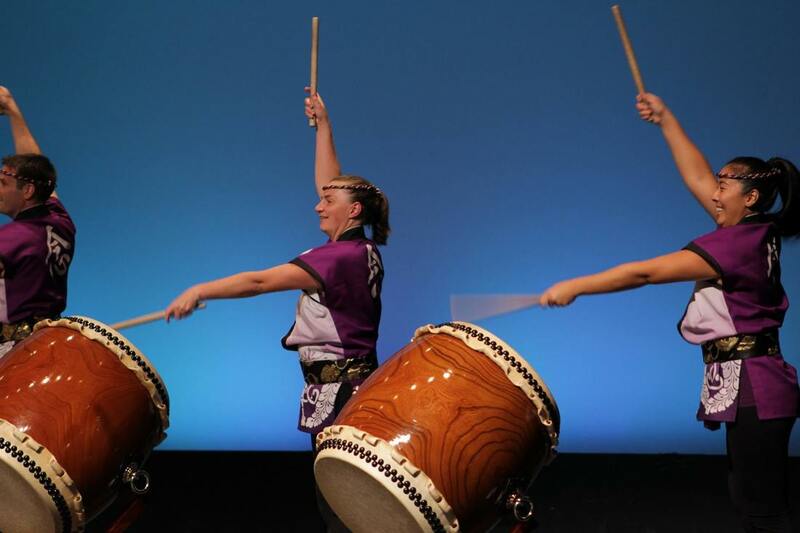 This video shows part of our performance at the North American Taiko Conference in August 2017 as part of a Taiko Jam concert. 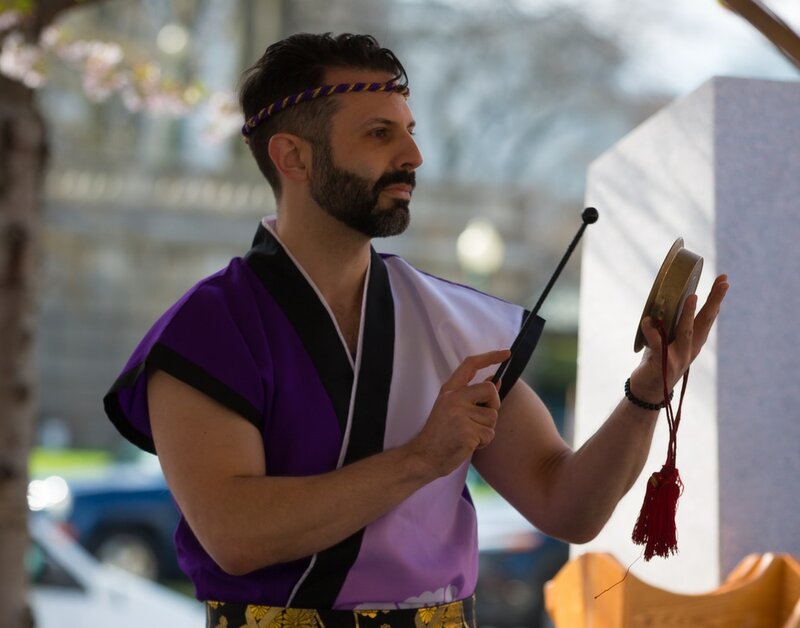 Thank you to the volunteers with the Taiko Community Alliance led by Benjamin Pachter for taking this video. This video shows the last minute of the song Shiawase Ondo. Come to an in-person performance to see the full song!